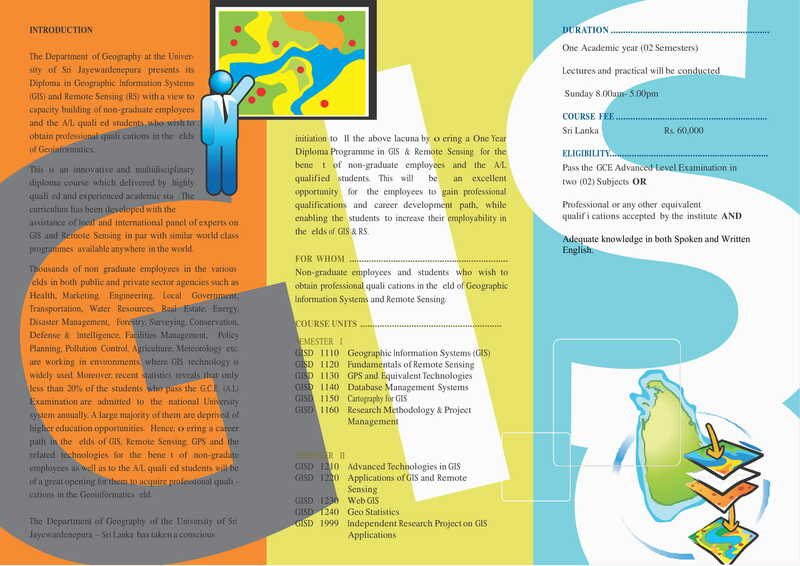 Applications are invited from interested candidates for Diploma in Geographic Information System (GIS) and Remote Sensing (RS) offered by the Department of Geography at the University of Sri Jayewardenepura. The aim of this Diploma is to create a career path with professional qualifications in the fields of Geoinformatics, for those non-graduate employees and students. 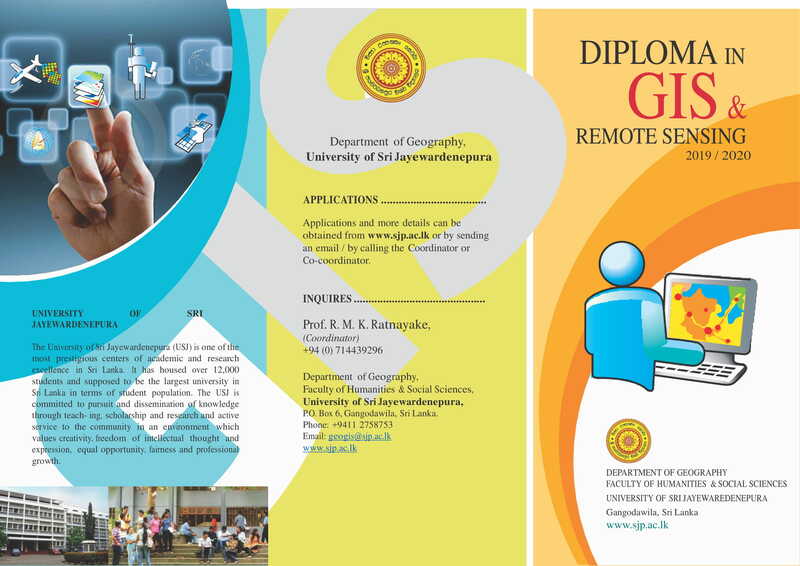 This is unique and state of the art technology based World Class Diploma developed by a panel of local and international experts in GIS and Remote Sensing, which will be conducted by highly qualified and experienced academic staff. This will be an excellent opportunity to increases employability for the student, and obtained extensive knowledge and professional qualifications for the employees, in the fields of GIS & RS. The course fee has to be paid on two installments, Rs. 40,000 at the registration and the balance Rs. 20,000 within six months from registration. In addition to the above cost, a “Technological Tour” to Bangkok will be organized by the University as a field training joins with M.Sc. Degree. The basic cost Rs.75,000/= have to be borne by either the respective institution or the student. Eligibility Pass the GCE Advanced Level Examination in two (02) Subjects OR Professional or any other Equivalent Qualifications accepted by the University with adequate knowledge in both Spoken and Written English.